Armwrestling has come a long way over the past 60 years. The organized sport has grown from a small tournament held in the back room of a bar in Petaluma, California, to one that is now practiced in close to 70 countries around the world. The early days of Petaluma Wristwrestling – a form of armwrestling where non-competing hands are clenched in the center of the table – are chronicled here. 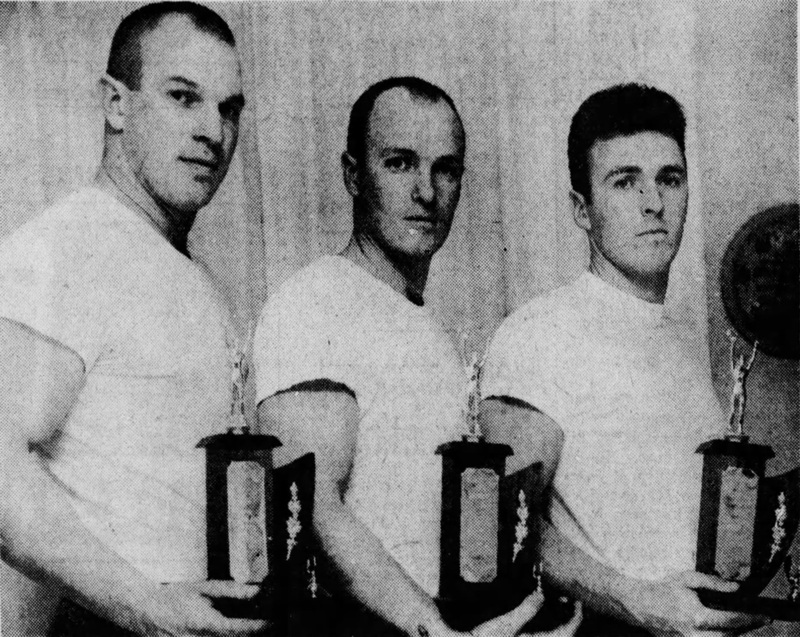 Aside from the Petaluma tournaments, a handful of weightlifting clubs in different parts of the U.S. also started to host small armwrestling tournaments in the ‘50s. These tournaments evolved independently of the Petaluma tournaments. As almost everyone has armwrestled informally at some point, it’s not surprising that the idea of holding tournaments came to different people. The earliest of these tournaments known to have occurred (to this author) in the U.S. was the Tucson Arm-Wrestling Championships, held on October 29th, 1955. The contest was held in conjunction with the Tucson Amateur Athletic Union (AAU) Weightlifting Championships and the Mr. Tucson Physique contest. It was hosted by the Tucson Y Barbell Club in Arizona. It was a seated armwrestling contest where non-competing hands were allowed to grasp the side of the table. It is unknown who was(were) the winner(s) of this tournament, though Bob Knight, Dave Cooper, and Manny Kahn were among the favorites going into the event. It is unclear how many times the Tucson tournament was held, but it was at least held one more time in December 1957. 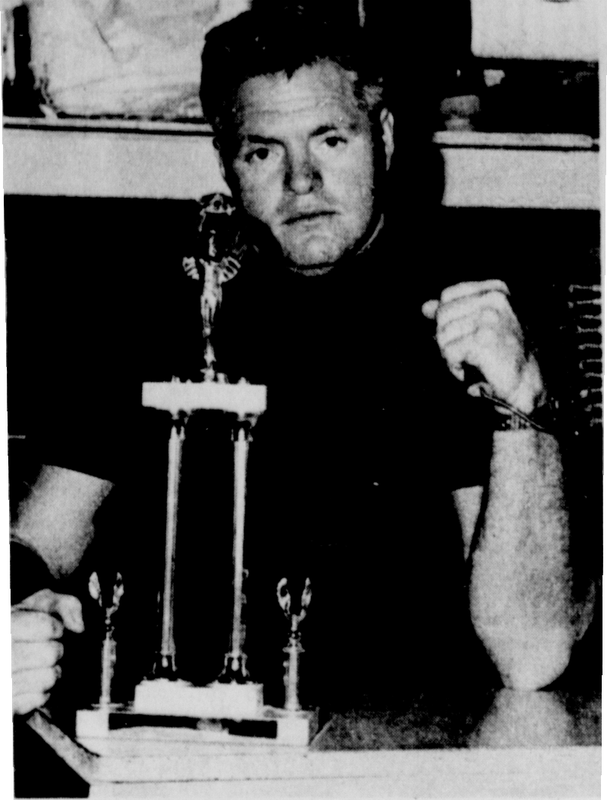 Bob Knight was the winner of the heavyweight class, Stuart Gruchik won the middleweight, and Glenn Cox was the lightweight champion. 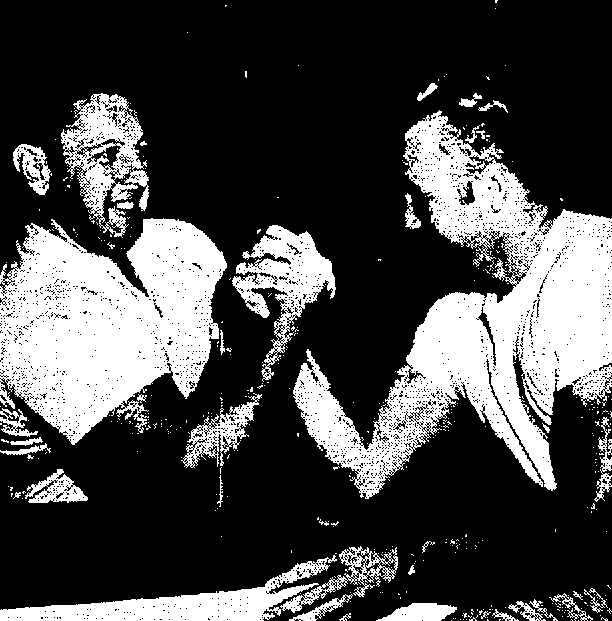 Also in 1957, the El Paso (Texas) Weightlifting Association also hosted its first arm wrestling tournament. It too was held in a YMCA gym and sanctioned by the AAU. California was the first state to host a contest labeled as a “state championship”. This happened at the January 1958 Petaluma tournament, where Earl Hagerman was crowned champion. Just a few months later, however, Arizona became the second state to hold a state championship when the (believed to be) inaugural Arizona State Arm Wrestling Championships were held in Tucson. Bob Knight won this contest. By the early ‘60s, the Petaluma tournaments were becoming too big and a decision was made to turn the annual event into a “world championship”. World’s Wristwrestling Championship, Inc. was formed in 1962 and the event moved to one of the city’s largest halls. This inaugural World Championship received some national media attention, with several newspapers running an article about the contest. An article describing the growth of the World’s Wristwrestling Championship throughout the ‘60s can be found here. 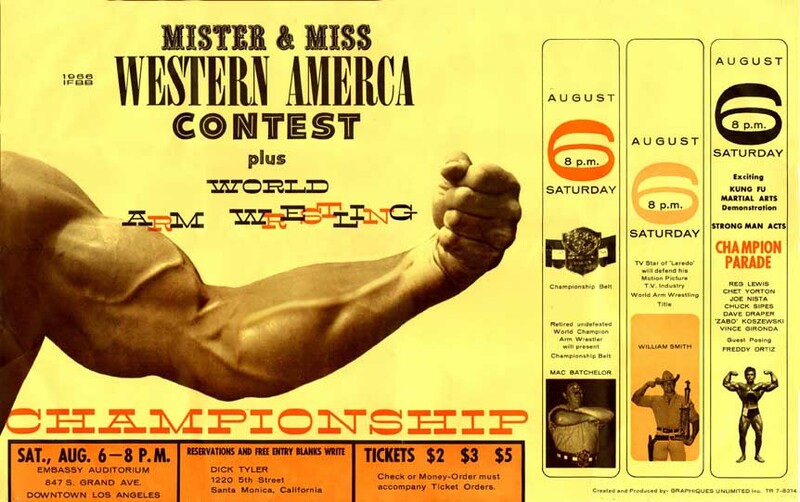 1964 saw the first contest organized by the World’s Wristwrestling Championship Inc. outside of Petaluma. It was held 50 miles south in San Leandro. The Alameda County Wristwrestling Championship was held as part of the Cavalcade of Strength variety show for the benefit of the San Leandro Boys Club. Jimmy Payne, former Mr. America and 1964 lightweight Petaluma champion, was the master of ceremonies for the event, and current world champions Joe Schuler and Barbara Sappington were in attendance to cheer on the competitors. First place winners in each of the weight classes received a free trip to the 1965 World Wristwrestling Championships. A small “world” arm wrestling championship was also held in York, Pennsylvania in 1964. It was held in conjunction with the Powerlifting Tournament of America, which was the first national powerlifting championship ever held in the US. The arm wrestling contest only featured a handful of competitors, with Wilbur Miller emerging as champion. Wilbur also placed second in the heavyweight division of the powerlifting contest that day. The first New York state championship was held in 1965 in Elmira. It was hosted by the Elmira YMCA wrestling team. The Jolley brothers, Robert, and Roger, and Ben, swept the tournament, each winning their weight division (lightweight, middleweight, and heavyweight, respectively). Ben had finished in second place at the previous year’s “world” championship behind Mr. Miller. After a few years of having a single official wristwrestling organization (the WWC), a new federation was formed in 1966: the International Federation of Arm Wrestlers (IFAW). IFAW tournaments were held in conjunction with International Federation of Body Builders (IFBB) physique contests. Its inaugural event was the World Arm Wrestling Championship, held in conjunction with the IFBB Mr. Western contest. Though called “arm wrestling”, the competition was actually a seated version of wristwrestling. 6’8” Lloyd Lampton crushed the competition and became IFAW’s first world champion. A detailed history of the IFAW can be found here. 1967 saw IFAW’s first contest on the east coast. Its World Arm Wrestling Championship was held in conjunction with the IFBB Mr. Olympia contest in New York City. Mr. Lampton did not make the cross-country trip and the world title was earned by newcomer Marc Korman. What the IFAW had that the WWC didn’t was continued promotion of its events in various muscle magazines. This is how Virginia’s Steve Stanaway, who became a star of the sport over the next dozen years, first heard of the 1967 IFAW tournament. He attended this event (his first) and did well, but did not place. Being an open weight class, he was giving up considerable weight to many of his opponents. 1968 was the year that armwrestling/wristwrestling received more media attention than ever before. Who was to thank for this? Charles Schulz and his Peanuts comic strip. Charles developed an 11-strip storyline that saw Snoopy train for and attend the World’s Wristwrestling Championship in Petaluma. 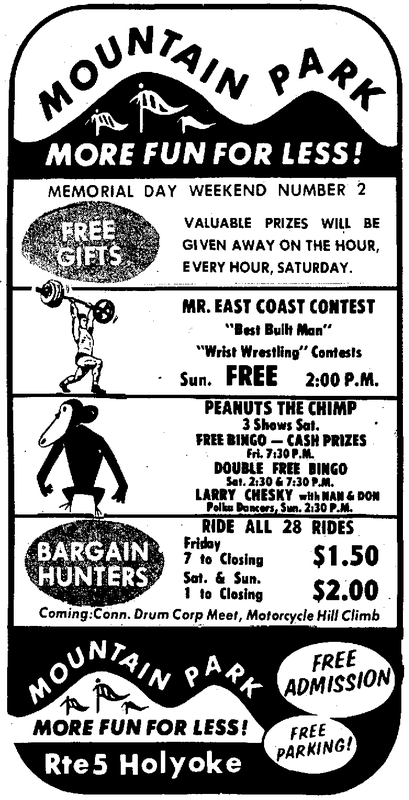 At the time, Peanuts was the most popular comic strip in the world, and many media outlets inquired to find out if there was such a thing as the Petaluma World’s Wristwrestling Championship. 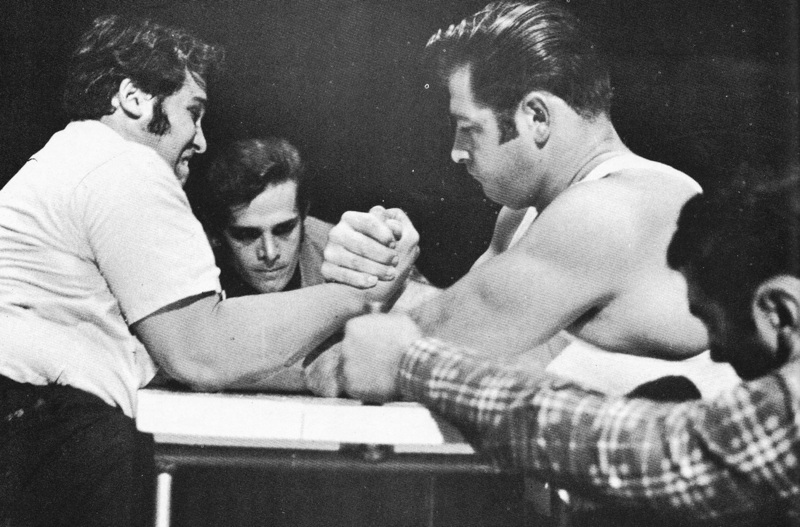 One of the first known armwrestling teams was formed in 1968: The Dukes of Dayton. Led by Duke Morris, the Dukes were a group of pullers from the Dayton, Ohio area. They organized their first open tournament in July of that year (also believed to be the first tournament held in Ohio). The club’s best puller, John Torch, ended up being bested by Robert Craft, from nearby Fairborn. The club would go on to organize several tournaments over the next few years, helping to establish the state as a hotbed of armwrestling activity. Once again, the 1968 IFAW World Arm Wrestling Championship was held in New York City as part of the Mr. Olympia festivities. There was a noticeable increase in competitors, and it was a first official contest for many men who would go on to be among the very best arm wrestlers of the ‘70s: Connecticut’s Maurice “Moe” Baker, Virginia’s Ken Meade, and Massachusetts’ Al Turner. Ben Jolley was at this event, and was getting excited after winning his first few matches, as he didn’t see anyone that he felt would be a challenge – certainly not the pudgy (his word) Moe Baker. Boy, was Ben mistaken! Moe pinned him in the blink of an eye! Moe proved to be too much for everyone else that day, and would continue to be too much for everyone over the next few years. 1968 was also the first year the USA Arm Wrestling Championships were held in Durham, North Carolina. This event was considered a “national” event (especially in the early years) and would be held annually – sometimes twice a year – through to the early ‘80s. The events were organized by Rembert Garris, and attracted many of the east coast’s top pullers in the early ‘70s. Once again, though labeled “arm wrestling”, seated wristwrestling format was used (at least in the early years). When “national titles” are quoted from this time period, they are generally titles won at this tournament. Ken Meade, Bob Craft, and Steve Stanaway are among the men who won national titles at these contests in the late ‘60s. While 1968 was the year that the sport received increased media attention, 1969 was the year that the benefits of this attention truly started to be realized. Dave Devoto, of the WWC, secured a national television deal with ABC’s Wide World of Sports. The show would film the 1969 World’s Wristwrestling Championship to be aired at a later date. Unsurprisingly, this resulted in record-breaking attendance at that year’s event. After emerging from a 5-year retirement from the sport the previous year to win the 1968 World Championship, Duane “Tiny” Benedix returned and became the first person to ever win the heavyweight division of the World’s Wristwrestling Championship two years in a row. 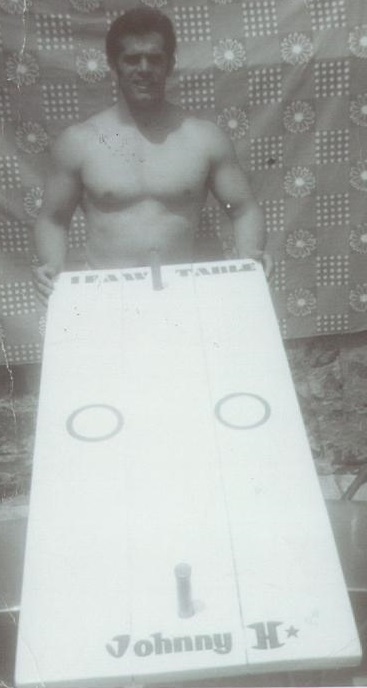 By the late ‘60s, Ed Jubinville of Massachusetts was regularly hosting armwrestling tournaments in conjunction with physique (bodybuilding) contests. Ed held many of his contests at the Mountain Park amusement park in Holyoke. Joe Zarella of New Hampshire also started hosting armwrestling tournaments in conjunction with physique contests and/or powerlifting meets in 1969. Joe held most of his competitions at the Nashua YMCA. Like the IFAW contests, these were actually seated wristwrestling affairs. Picnic or kitchen-type tables were typically used. Many of the northeast’s top pullers honed their skills at these events. For the third year in a row, the IFAW World Arm Wrestling Championships were held in New York City in conjunction with the 1969 Mr. Olympia (Arnold Schwarzenegger’s first Mr. Olympia contest). For the first time at an IFAW event, two weight classes were offered: up to 200 lbs, and over 200 lbs. The 1969 contest was also special because of another first: a pegged table. The new table was designed and constructed by Johnny Haemmerle, an amateur bodybuilder, entertainer, and IFAW’s head referee. He created the pegged table to reduce what was perceived to be a bigger possibility of cheating when non-competing hands were clenched in wrist wrestling. There was some concern among the organizers that there would be little crowd interest in the armwrestling contest, given that the final rounds were being held while the final scores for a classic Mr.Olympia contest were being tabulated and everyone was eager to find out who won between Sergio Oliva and Arnold Schwarzenegger (Sergio was the winner). However, this concern soon dissipated, as the crowd really got into the armwrestling matches. The 200 lbs and under class was eventually won by Bill Strickland, who had competed in the contest in previous years. But the real excitement was for the final match of the heavyweight class. As the reigning World Champion, Moe Baker was granted a bye to the finals. His opponent, Nathan Schwartz, had an interesting back story. He had attended the IFAW World Championship two years prior when he was just 16 years old and made an impression by reaching the semi-finals. He returned for the 1968 event, only to find out that he had missed the elimination rounds that had taken place earlier in the day. He was furious, as he was confident that he could beat all of the other competitors. He even taunted the other men ("you all chicken?"). Those still in the tournament were not allowed to pull him, but a few of the eliminated competitors stepped up and agreed to face him in unofficial matches -- he easily defeated all of them. He then looked at the finalists and said "I can beat anyone here." One year later, Nathan's comment was still on Moe's mind. He wanted to face Nathan more than anyone in the world: "I've been waiting a full year to beat that man. I don't want anyone to have him but me." When they finally met up, both men were extremely excited -- so much so that Moe got en elbow foul right after the start command was given. If he did it once more, he would lose the match. This would have been too much for him to take. On the restart, he made no mistakes and he slammed Nathan's arm down, showing everyone that HE was the best! Moe Baker bringing down Nathan Schwartz' arm. Judging from the picture of the event, it does not appear as though the pegs were used as intended! Perhaps the competitors, many of whom were used to wristwrestling, convinced the organizers to let them grip up as usual? At the end of the ‘60s, Tiny Benedix was clearly the man to beat on the west coast, while Moe Baker was clearly the man to beat on the east coast. Aside from a single loss in competition in the 1962 World Championship final when his missed the start command, Tiny was undefeated. Moe had never lost a match. A match between these two men would have been an historic event. Unfortunately, the two never met. Tiny was injured in a hunting accident just one week after winning the 1969 World Championship which put an end to his wristwrestling career. Special thanks to Lanny Julian, Steve Stanaway, Maurice Baker, John Shotwell, and Ben Jolley for sharing their memories and knowledge with me and making this article possible.